A few days ago, I asked photographers to email us if they were planning on participating in this contest and sadly, I only received one email. Due to this, we've decided to cancel the contest altogether and hope that I can put together another contest in the future that will generate more interest. I am open to receiving any styled shoot submissions for review and actually want to encourage you that it's not too late to still put together a winter styled shoot. I am so excited to announce Le Magnifique's first ever contest! I'll be honest and say that I am a little nervous about this because I'm not sure whether or not it will be a hit. But I'm willing to go forth and make this contest happen because I want to see what photographers come up with and I'll be praying and hoping every single day that more than just a few people will enter (hehe). The guidelines are simple but strict - be sure to read and follow each one. If you have any questions or concerns, please don't hesitate to ask me by shooting me an email - I'd hate to have to disqualify any submissions. // all entries must be submitted by December 31, 2012. // we will only consider submissions from photographers. If you are a creative in the wedding industry and would like to participate in this contest, please find a photographer to work with! // the shoot must have taken place between October 2012-December 2012 (please do not send us past styled shoots). // we ask that the images from your shoot are not posted or featured anywhere on the internet (your blog, facebook page, twitter, pinterest, etc...). We'd love it if you kept the shoot underwraps until after it is reviewed by the Le Magnifique team. // the shoot must have a beautifully designed and decorated tablescape/table setting complete with most if not all of the following: table & chairs, table covering (if needed), a centerpiece, chargers/plates/utensils/glassware, napkins, and paper goods (name cards, menus, table number, etc...). You are more than welcome to incorporate other details that you may find appropriate for your shoot. // you are more than welcome to have a full-styled shoot (ex: bride/groom, bouquet, cake, dessert table, etc..). However, you will only be judged on the photography, design, and creativity of the styled tablescape). *BUT* if you are selected as the winner, your full shoot will be featured. // when photographing the tablescape, be sure to photograph all the elements of the table (individually and together) and include them all in your submission. Images we are looking for in a submission: the full table shot at different angles, a place setting (with utensils, napkin, glassware, name card, etc), the centerpiece(s), the chairs, and all other design elements you used in your shoot. // when submitting the shoot to Le Magnifique, please submit no less than 25 images. Be sure that the images and the folder are renamed like this: business-name_LMwinter2012. 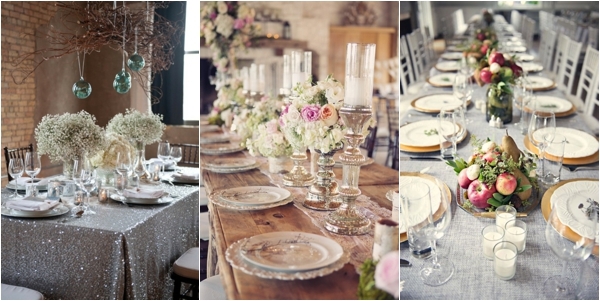 If you did a full shoot and not just the tablescape, please include those photos as well. // send us a separate email with a couple paragraphs about your vision of the shoot (how you came up with the theme/style, how it all came together, etc..) AND a list of all the vendors involved in the shoot + their websites. The photographer who wins will receive a 3-month ad space (medium) on the blog as well as all the perks that come along with that ad space (mentions on social media sites, pinterest image shares, FB image shares and shoutouts). The winner's shoot will also be featured on the front page on the blog. Any questions? Please email us at damaris@lemagnifiqueblog.com.